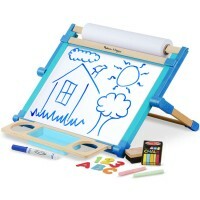 Perfectly sized for kids' hands, this chalk set comes with 4 jumbo chalk sticks and easy-to-grasp holders. 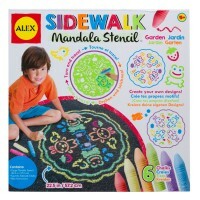 Help your child unleash his/her inner artist with My First Sidewalk Chalk Set with Chalk Holders by Melissa and Doug! This colorful street chalk kit contains 4 vibrant colors of sidewalk chalk. 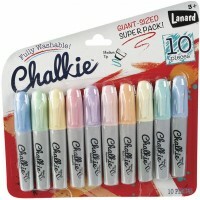 Each one of these pieces of chalk comes enclosed in an easy to grasp holder. 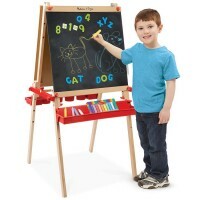 This children art toy is designed to help little hands put their visual designs on paper, sidewalk, chalkboard, or wherever else they want to draw! 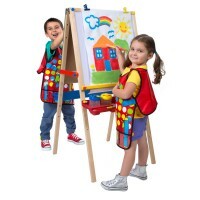 My First Sidewalk Chalk Set with Chalk Holders from Educational Toys Planet contains thick and sturdy chalk, so children will be able to draw as many artistic designs as they want to! Dimensions of package 6.5" x 1.6" x 7.75"
Write your own review of My First Sidewalk Chalk Set with Chalk Holders. 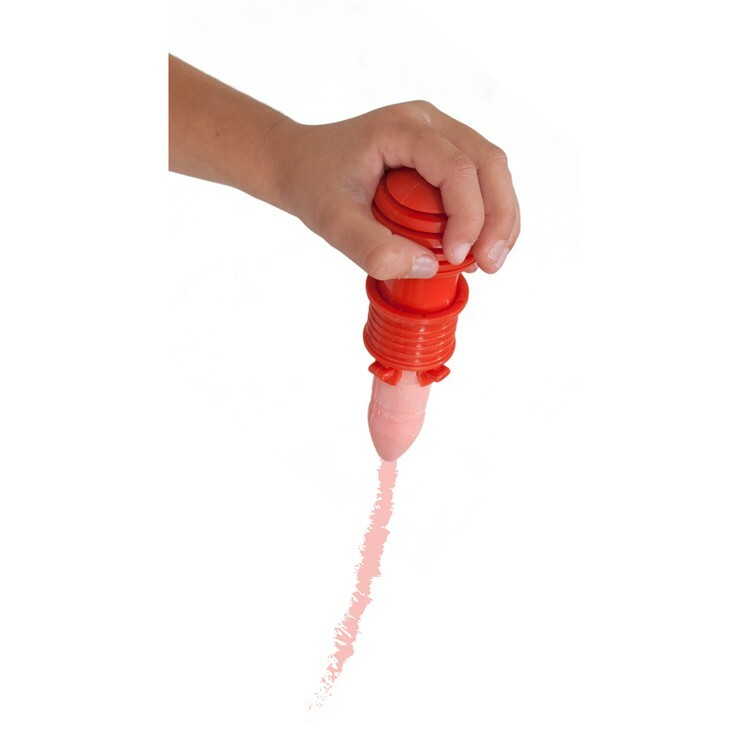 Rating: 5 Great for young children by By A customer I love these chalk holders. 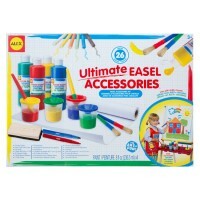 I purchased this set for my granddaughter. At I year & 9 months she can handle these great. Rating: 5 Less mess = Happy mom by By A customer Great for toddlers and less hand mess to deal with it. Have had it for a few months now and chalkboard gets used daily and haven’t had to change the chalk yet. Rating: 4 Serves its purpose fine by By A customer They are great, just a lot bigger around than our other chalk holders. Rating: 5 AWESOME!!! by By A customer These are awesome. No chalk on the girl's hands and they love them. I am so pleased that I ordered a second set. 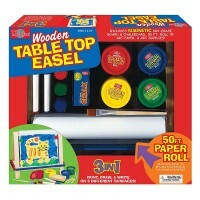 Rating: 5 Great for toddlers by By A customer My 2-year old loves this chalk! Rating: 5 Love these for little hands by By A customer Love these for little hands. My daughter insists on holding all four of them when walking and playing outside but they are great mess-free chalks and easy to refill. Rating: 5 Kids love by By A customer Kids couldn’t wait to use it. Used all the chalk in one day and now I have to get more! 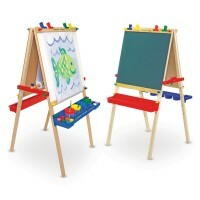 Rating: 4 Four Stars by By A customer Great for little ones! Easy to grip. Rating: 2 Only useful for full sticks of chalk. by By A customer Once the chalk is shorter than the holder, it’s very difficult to remove. Any attempt to use shorter pieces by “locking” them at the top was pointless, because any pressure (like writing with it) caused the chalk to slowly slide in where it was then next to impossible to remove.Plus it really sucked that all four pieces of chalk were broken into pieces when it arrived. 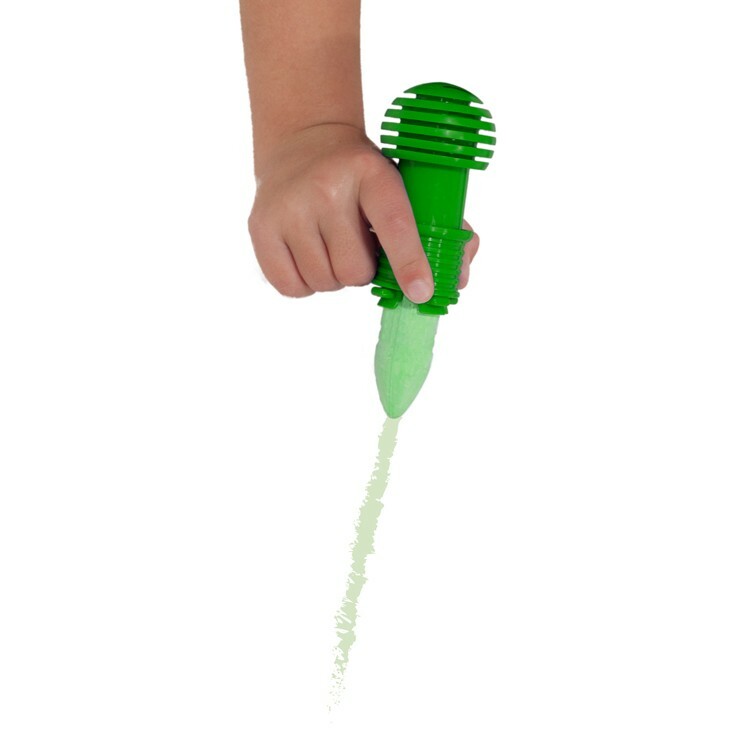 Rating: 5 Awesome by Jessica G This sidewalk chalk set comes with holders that make the chalk easy to grasp with small hands and will keep hands clean while playing. 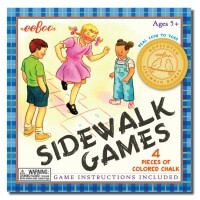 Sidewalk chalk is a great way to work on fine motor skills, color recognition, creativity, imagination and more. It is also a fabulous way to incorporate outdoor play into your child's day. Your child will love it!